Rainy winter days are the worst. I’ve always said that snow is better than rain . Snow is cleaner, looks better and feels a lot less wet and cold. There’s something about winter rain that makes you never want to leave the house but with a few keys pieces you’ll be able to survive the day. Of course a thick overcoat is a must. Some would argue that a parka is a better choice but an overcoat is the more fashionable option so I’m sticking with it. Try something double breasted because when closed it will keep all that nasty wind out. 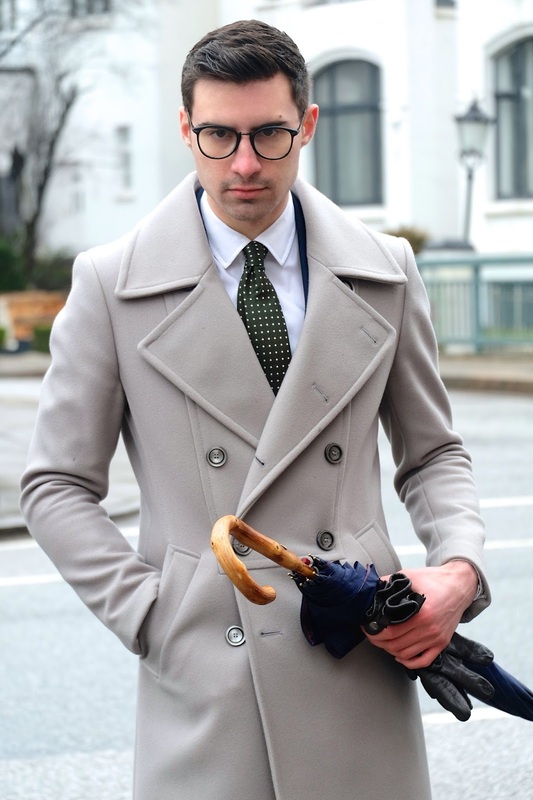 Keep in mind that an overcoat is much different than a peacoat. 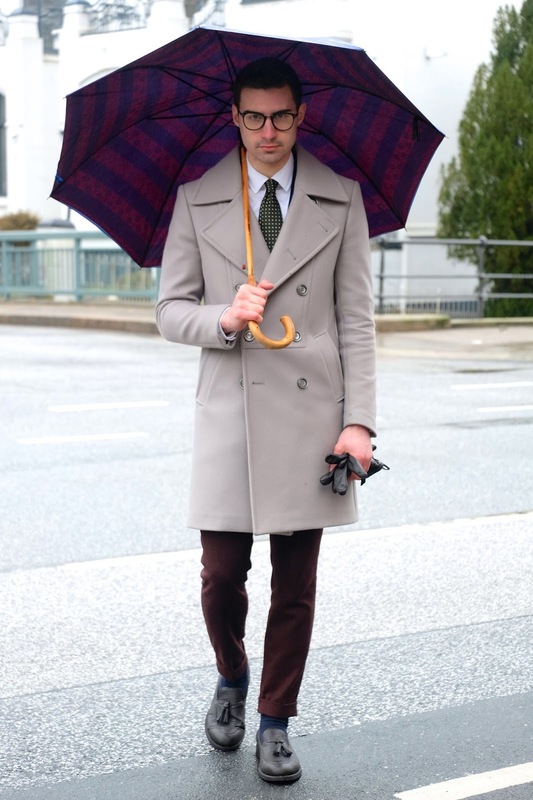 Peacoats are very easy to find but not as formal and much shorter in length which may keep you less warm. The second piece that you’ll need is an umbrella. Quality umbrellas can be pricy but it’s an investment worth making. There’s nothing more embarrassing than when your umbrella breaks from the wind on a crowded city street. Get a strong umbrella with a solid wood handle and it will last you years plus it’s a great looking accessory. Did I miss something? What can't you live without on a rainy day? I like this outfit, it's really classy!